Welcome! 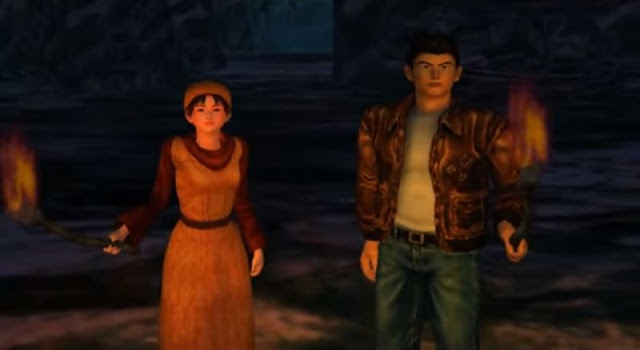 This post marks the launch of this blog which will be centered around Shenmue: the open-world video game series created, directed and produced by famed Japanese game designer Yu Suzuki. "The mirrors are made of Phantom River Stone found only in Bailu village." My encounter with the Shenmue series came relatively late, well after its original release. 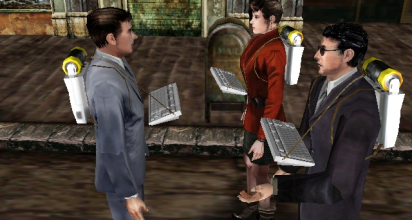 Unlike some people who can speak fondly of Shenmue taking pride of place in their game console library as they were growing up, I first found out about the game after getting an early Dreamcast emulator running on my PC in order to play an old favorite, Typing of the Dead. Digging around to find other titles to try out for the Dreamcast, I noticed positive comments for a game called "Shenmue". The game description sounded intriguing, so I decided to give it a try. And I was drawn to it right away: the attention to subtle details; the sense that no corners had been cut approach in recreating the atmosphere and interactions of life in Japan in the 80's. It also helped that I had an affinity for Japan, having lived over here for a while and getting to know both the language and culture. 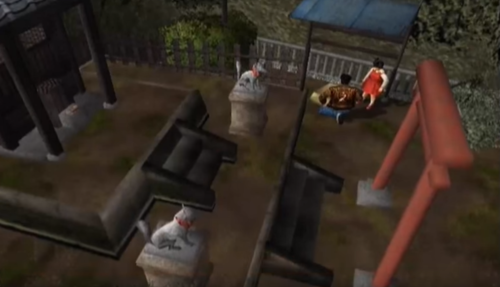 Ryo ponders what to give the kitty at the Yamanose shrine. 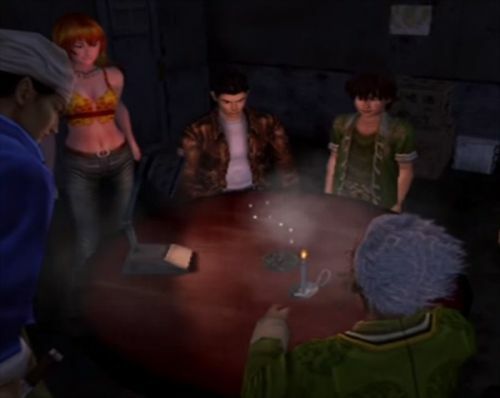 I hungrily moved on to the second game in the series, with Ryo now travelling to Hong Kong and China, and was happy to find that it retained the same charm as in the first game over a much wider geographical area as the story began to pick up pace. Finally, after passing through the mountainous scenery of Guilin and getting to know the mysterious character of Shenhua better, I found myself joining the rest of the fans in limbo as the story paused tantalizingly inside a certain cavern in Guilin. Then, moving forward to 2015, a miracle occurred: the astounding announcement was made at the Sony E3 conference of a Kickstarter project for Shenmue III, the long-awaited sequel. Suddenly Yu Suzuki was back in the global spotlight, accompanied by a frenzy of magazine articles, Twitch stream interviews and presentations. 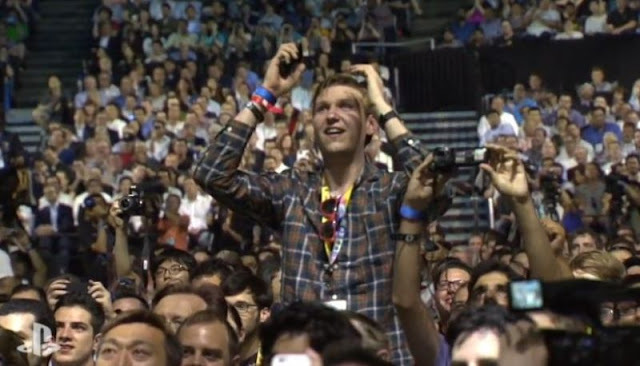 Fans rejoice as Shenmue III is announced at E3 in 2015. Now, while a lot of this material was also published through English news sources, some of it was in Japanese only, particularly small tidbits such as tweets or words from screen captures. This confirmed for me the need for a way to make this Japanese-language treasure trove of information available to everyone who may not speak / read Japanese. 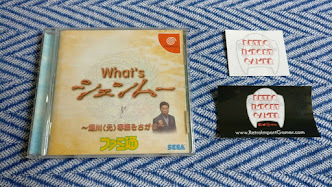 Not only that, but there is a fascinating stock-pile of historic Japanese-language Shenmue-related articles and videos out there that still remains inaccessible to some fans due to the language barrier. It is my dream for these to be readily available to all Shenmue fans around the world. 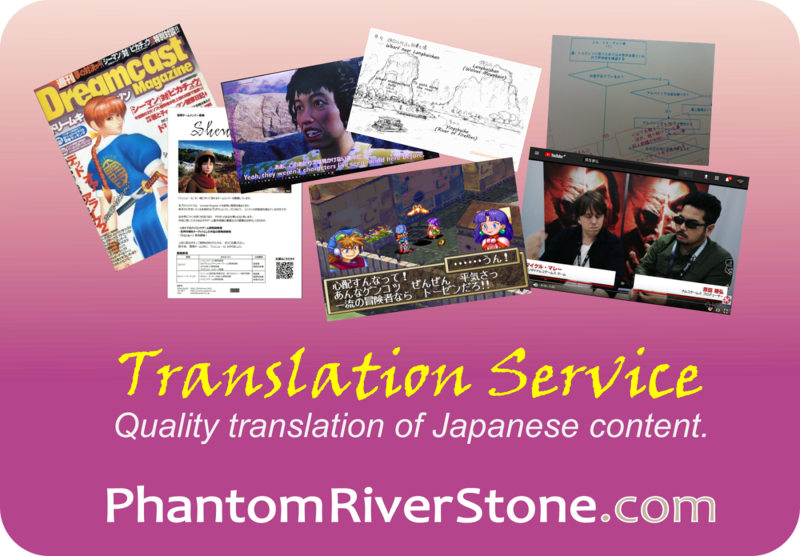 To this end, over the past year or two I have spent my spare time working on various article translations & video subs in English, publishing these through the forums of the excellent Shenmue Dojo. But I have always felt it would be nice to make a central home for them and perhaps provide a few background comments about trying to translate some of the curlier phrases. So I am delighted to launch this blog - not only for translations of Japanese-language Shenmue articles and interviews but also for things such as highlighting fan-created Shenmue projects, commenting on Shenmue III Kickstarter updates or observing various aspects of the Japanese culture as they are reflected in the games. P.S. In case you are wondering how the Phantom River Stone in the game got it's name, check out "The Naming of Phantom River Stone!" A special shout-out to Typing of the Dead, for paving the way for me to find Shenmue. If you enjoy the articles in this blog, please consider supporting me on Patreon so I can continue to produce Shenmue content! Cool article) Waiting for Shenmue 3! Thanks for your feedback. 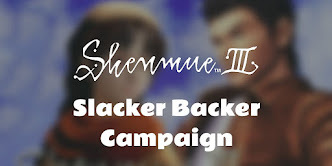 It's hard to believe it's already been more than a year since the Shenmue 3 Kickstarter project was announced!